"We're living in a new kind of computing environment," says Urs Hölzle, SVP Technical Infrastructure and Google Fellow in a new post to Google's official blog. The search giant has resolved to make a second sweep at spring cleaning that began two years ago. After this round of cleaning is complete, the total number of features and services Google will have closed will number 70. In the post, Google announces the closure or deprecation of eight features and services, but buried four items deep is the one that will probably affect the most users: Google Reader. 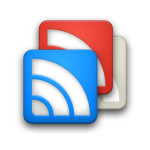 Google says Reader will be retired July 1, 2013, ending its eight-year tenure in the Google lineup. For this, Google blames declining usage, and notes that users and developers who want their subscriptions to live on in another service can use Google Takeout to export their data. This move is certainly a surprise to loyal users of the service, but Google is partially correct – it's been clear in recent times that Google Reader isn't getting a whole lot of attention, perhaps not only from users, but from its own caretakers. That said, the move will have an impact on not just readers, but developers who have invested energy and resources in Google Reader clients for Android (like gReader and Press), iOS, and other platforms. Also on the chopping block are Google Building Maker, Cloud Connect, Google's Voice app for Blackberry, Search API for Shopping, and its Snapseed Desktop software for Mac and Windows. Google reassures readers who may be shaken by the latest round of cuts that "these changes are never easy," and reiterating that by cutting certain services, resources can be focused on making bigger impacts with fewer products. For a full explanation of Google's latest spring cleaning, just hit the link below. Mini Update: Taking to a post on Quora, Brian Shih (former Product Manager for Reader at Google) gives a brief outline of exactly why, from his perspective, Reader is getting the axe. Read the full comment here.